When looking at the parkrun events map a few months ago, I had labelled Bedfont Lakes parkrun as 'one to drive to' but the day before I was due to visit the venue I changed my mind and decided that it was definitely one that I could cycle to and as I'd be missing my usual Sunday morning long ride it made perfect sense to do it on the Saturday instead. As usual when I cycle to a parkrun, I leave myself bags of time in-case I get lost on the way or suffer a mechanical fault. The ride had no issues so I arrived an hour before the start of the run. This is always good because it leaves a bit of time to recce the course and take some photos, plus if anyone else has turned up I can have a natter. 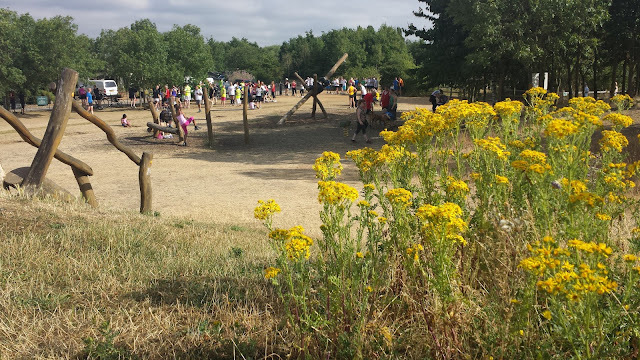 There are two entry points with car parks at Bedfont Lakes Country Park - The one closest to the start of the run is reached via Clockhouse Lane where you'll find a small car park. 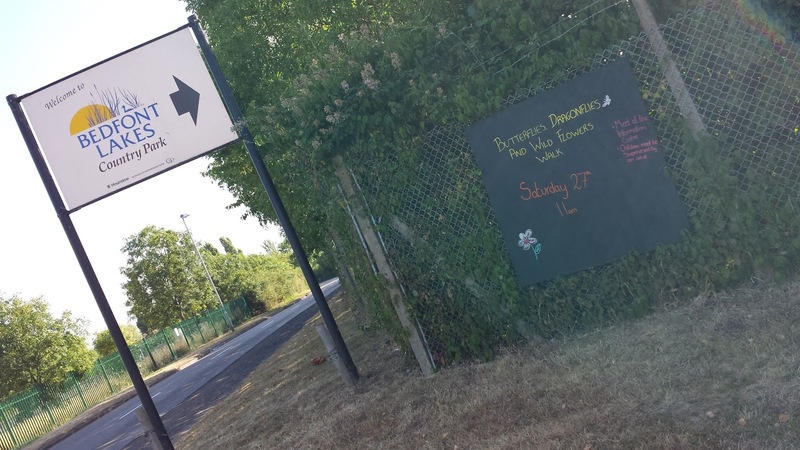 However, the official advice is to use the car park at the far end of the course just off Bedfont Road where the car park is larger. As I cycled here I was looking for somewhere to lock the bike. The choices are (i) An old fashioned bike rack (ii) The metal fence that surrounds the start area / play area. 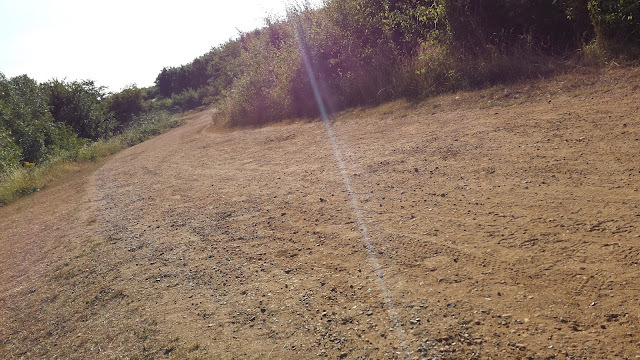 The course is 2 clockwise laps around the country park, the first one is slightly shorter than the second. 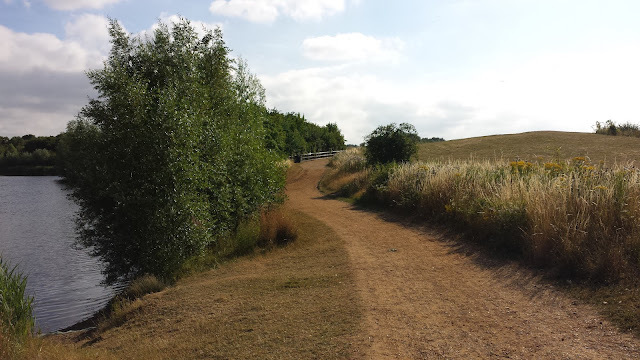 The overall terrain of the country park is undulating/hilly but the run avoids all of the really steep sections. The first 500 metres or so of each lap is the most undulating and some of the undulations are relatively steep, but they are so short that I wouldn't lose any sleep over them. This first undulating section has been named 'Mo Hill'. Once you've got those undulations out of the way you reach the motte, which is really cool feature to have and looks like a lot of fun for kids. A few twists and turns later and past another playground you arrive at the long straight section which runs parallel to the railway line at the back of the course. On the first lap you'll be directed round to the right to start lap 2 by some very lovely marshals and on the second lap the marshals direct you straight ahead to complete a lap of a small fishing pond before you arrive back at the start/finish area to cheers and applause to complete the run. Underfoot is loose gravel, stones and dust, and as you go round the sound of 'crunch, crunch, crunch' will soon be the only thing you can hear. The dust is quite something - I started the run from the back like a naughty racing driver (I hadn't broken any rules, I was just trying to keep my pace down by not starting any further forward) so I got to witness the cloud of dust that is created as 100 plus runners leave the start area en-mass. Post run my shoes had a slight dusty orangey coating and when I got home I noticed that I had a parkrun dust tan on my legs. 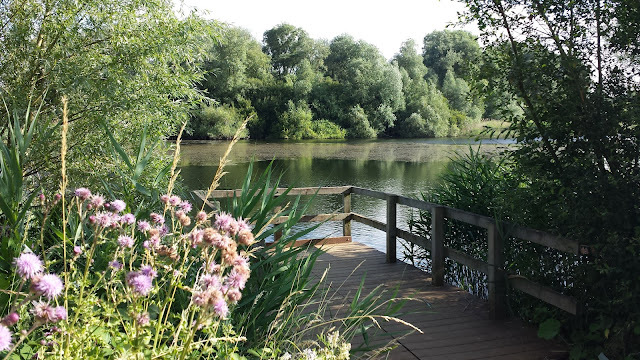 As you may have gathered from the name, Bedfont Lakes isn't just paths and grass - it also has lakes, and they are beautiful. The area is a nature reserve and is home to all kinds of insects (I lost count of the number of Dragon Flies I saw) and other animals (I saw a rabbit). The park wardens run all kinds of special events based around the amazing wildlife that lives here. It also has something in common with Riddlesdown in that it has areas for Skylarks to nest in. A few other things - Dogs must be kept on leads at all times unless they are within one of the dog exercise areas. The course is definitely buggy friendly. 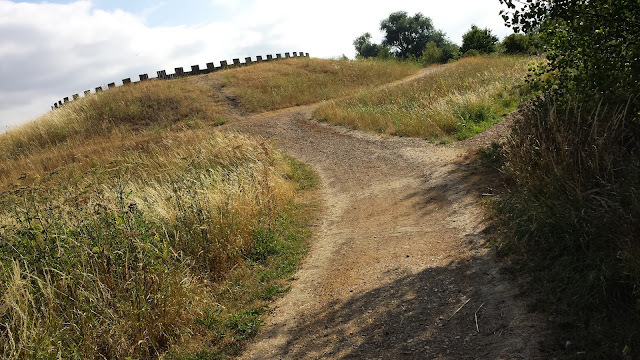 There is a Trim Trail which you could walk or jog around and stop off every few minutes at a piece of exercise equipment - It's been really well thought out and if I lived closer I'd probably use it. 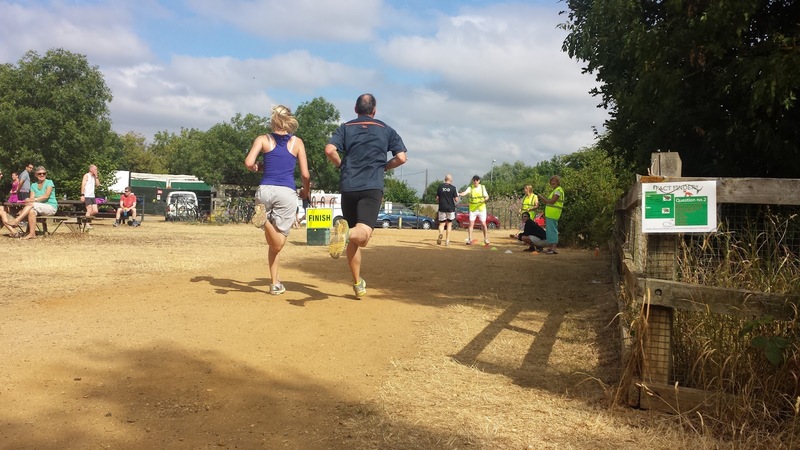 It's a really friendly parkrun and you can tell that it's been going for a few years as there is an overwhelming sense of community. I chatted to a few people while I was there and some others thanked me for paying them a visit. I left feeling that I'd been extremely well looked after, and if I lived in the area I'd be proud to call it home. 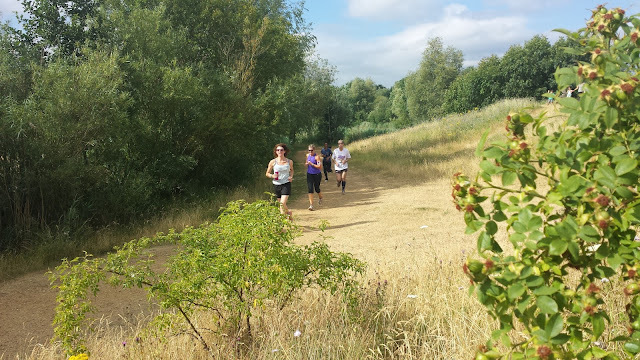 They even put a link to the blog in their run report for the day, which was extremely kind.